It's that time again, slightly later than normal, for the North American Download Update details. This week brings a range of new options on Wii U, a number of which are exclusives, along with a 3DS retail release, the latest from CIRCLE Entertainment and a whole load of discounts. Let's get to the details. Missed the European Nintendo Download Update details earlier this week? You silly so-and-so! Don't worry, the information you need is right here. 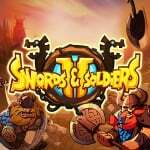 Swords & Soldiers II (Ronimo Games, $19.99) - A Wii U exclusive and sequel to one of the finest Wiiware games, this is a real time strategy game with a side-on 2D perspective. You can play as Vikings, Persians or Demons in local multiplayer, while the meat of the experience is likely to be in the campaign. We anticipate humour and lovely cartoon visuals in this one, too; we'll let you know whether it lives up to its potential in our review very soon. 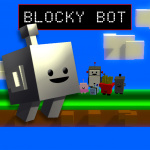 Blocky Bot (Mobot Studios, $1.99) - A budget release from a studio typically associated with larger download games, in this case being a vertical platformer with various visual styles and fellow 'Nindie' cameos. It's an endless platformer that aims to get you addictive to score chasing; we'll see whether it's malfunctioning or not in our review. 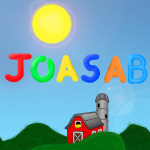 Journey of a Special Average Balloon (TreeFall Studios, $1.49) - The latest title from the young development studio that brought Maze and The Letter to Wii U, this involves manoeuvring a balloon to collect items and avoid dangers, with a range of modes and mini-games that are variations on the theme. We'll see whether it leaves us deflated or not in our review. Shapes of Gray (Secret Tunnel Entertainment, $6.99) - Another first-time Wii U developer, this is a "stripped-down action-arcade game" of short puzzle-driven levels, all with a very simple (and grey) aesthetic. We'll see how many shades of grey this really has in our review. 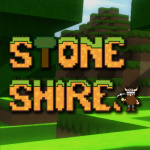 Stone Shire (Finger Gun Games, $7.99) - It's a Minecraft-inspired game on Wii U, jumping into the market ahead of various competitors; it's set up as a simple sandbox experience in which you explore and try to survive. We'll see whether it's memorable or digs itself too deep in our review. 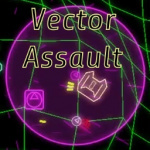 Vector Assault (WizByte Games, $4.99) - An arena twin-stick shooter with retro-style graphics, this seems to be all about score-chasing for bragging rights on its online leaderboards, while local co-op is also thrown in. We'll get blasting for a review. 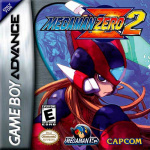 Mega Man Zero 2 (Capcom, $7.99) - Picking up on events one year after its Game Boy Advance predecessor, this intriguing action spin-off learns some key lessons to improve on the original while maintaining plenty of the qualities that helped it stand out. It delivers, too, and we gave it a hearty recommendation in our Mega Man Zero 2 review. SUPER E.D.F. Earth Defense Force (HAMSTER Inc, $7.99) - A SNES retro arrival for shmup fans, in this you're defending Earth from an invasion or, in other words, shoot all of the things. We only gave this a modest recommendation in our Wii Virtual Console SUPER E.D.F. Earth Defense Force review, but we'll take another look on Wii U.
Samurai Defender (CIRCLE Entertainment, $3.99) - A side-on castle defence game set in the "Warring States period of Japan". 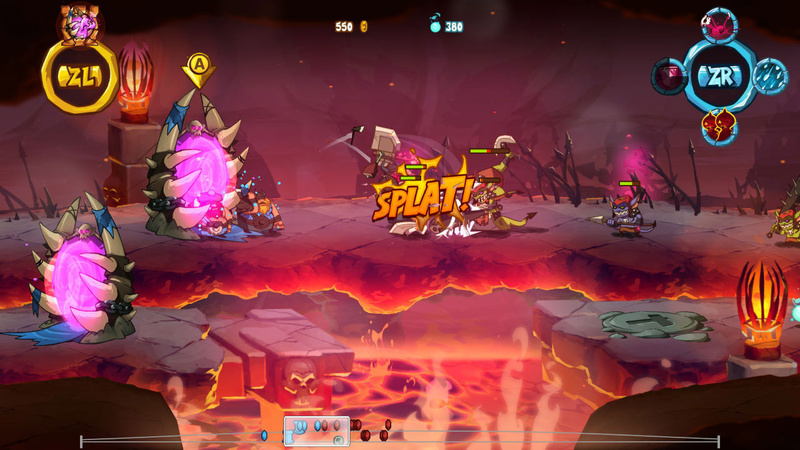 You tap on enemies to attack them with your bowmen, while earning coins and levelling up boosts your abilities and defensive options. We'll summon our inner Samurai for review. Puzzle & Dragons Z + Puzzle & Dragons: Super Mario Bros. Edition (Nintendo, $29.99) - In a deal that certainly offers reasonable value, we have both the original 3DS iteration of the franchise and the Nintendo's Mario version in one package. Blending match-three combo making with elements of RPGs and adventure games, you have to battle through stages (or a quest depending on which game you're playing) to save the world or Princess. Essentially two games for the price of one, we gave this a solid recommendation in our Puzzle & Dragons Z + Puzzle & Dragons: Super Mario Bros. Edition review. Available from 22nd May. Oh boy here come the complaints. I'm so stinking excited for swords and soldiers 2, I loved the first one! YES! Just as I was about to buy it, Retro City Rampage goes on sale! That'll be it for me this week. I'm really missing those 3DS VC titles. Oh no curve digital discount in America? Really Nintendo, a Swapnote theme? Either they are about to announce its return or they really wanted to taunt people. "We'll see how many shades of grey this really has in our review." This was written by mistake or on purpose? Well I'm going to finally pick up Retro City Rampage. That price is too good to pass. I'll pick up P&D at retail. Swapnote theme?!? They're just rubbing our faces in it now. I'm getting Puzzle & Dragons at retail. I have been interested in the Zero series however. @PikaNick I was so mad at the cancelation of swapnote. In fact I would rather still have that than MiiVerse which to me has always been kinda lame. It was nice to take pics in games and send them to just people on friends list not the whole world. I just get this feeling Nintendo doesn't want us gaming with our real life friends online. So weird the way they operate. A good week with some great deals and some great new games....but my money must be saved until next week in case I buy Splatoon. It's getting to the point where I'm temped to hunt down a Gameboy Advance and Metroid Zero mission. I swear its Donkey Kong Country all over again. I'll wait for a discount on Swords & Soldiers II. Don't know if I want to get P&D or wait and get Splatoon. Oh the conflicted decisions. Swords & Soldiers II first for me when I get home tonight and Puzzle & Dragons later on in the week or month depending on backlog and Splatoon. Retro City Rampage: DX looks tempting even if I have the Wiiware version. @Superryanworld I hit that point a few weeks ago and played through it on GBA. Downloading P&D. Thought about getting it retail, but a game like this is perfect for on the go, and would be beneficial to have on the system for that pick up and play purpose. The Swapnote theme is kind of strange, though. Technically, its not dead as local wireless and streetpass is still there. But with them killing the spotpass functionality, it essentially killed the application. I just Youtubed Stone Shire and it looks pretty good. Doesn't seem to be any different from any other Minecraft Games. Talk about a game which snuck up on Wii-U. Under the radar. I'll go ahead and grab Swords & Soldiers. I'm gonna get it eventually anyway. I don't mind supporting Wii-U exclusives or sure. Nice, another SNES game! What was that article a couple weeks ago about Nintendo moving away from SNES VC? We've had like a game every week since then! I loved Paper Monsters so I'm all in on Blocky Bot. What's the download size for Puzzles & Dragons? Another tasteless week, nothing for me this week either. Puzzle and Dragons is 7165 blocks. Puzzle and Dragons for me...but where is USA's Metroid Zero Mission?! C'mon, Nintendo! Still no Metroid Zero Mission, the only way this constant delay could make sense is if Nintendo announce a new Metroid at E3. 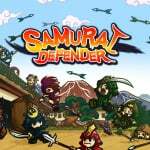 likely going to get swords and soldiers, samurai defender and then check out the discounts. I've been waiting for Swords and Soldiers for way to long to not get it. I recall the original being $15 on wiiware and it ended up being one of favorite games in the console. $20 might be a little steep but I know I'll get good value out of it. And I think I'll pick up Retro City Rampage. It's been on my radar for a long time but I can't beat that price. I want Puzzle and Dragons physical. For discounts Retro City and Master Reboot sound really tempting. At least I don't need a game been practicing NES REMIX. For anyone wanting to get 3D Mahjong on sale, don't. Best of Mahjong is the best one on the Eshop, and it's already low price may be cheaper than 3D Mahjong (on sale). No love for Kirby fans yet, NoA? Sure, we got Rainbow Curse first, but now there are two Wii downloadable Kirby games available for Europe, and zero for America. I just want Epic Yarn, since is the only one I don't own, but Return to Dreamland (Adventure Wii) would be nice, too. Wow, a lot of Wii U love this week! So man choices to choose from.I hope none of the usual complaints crop up this week. Nothing interesting...and I'm getting Puzzle and Dragons physically. Stone Shire was not released in Canada this week. All the other Wii U games were though. Well, looks I will continue to spend my money with Sony with all the good sales they have been having lately. @cali_angel Solitaire Mahjong games have timers? When it goes to zero, it's game over? Wow. That's pretty stupid. Well Best of Mahjong has no timer. It's also the best Mahjong game on the eshop as I've mentioned above, and did I tell you it's pretty cheap?? I dunno any physical mahjong games other than that 3D one (Atlus I think) but I never bought that so I can't comment. again, japan gets everything, europe gets crap, and america gets nothing. Really excited for Swords and Soldiers II! @Donjwolf My only mahjong experience so far (besides playing it as one of the many mini games in "Amazing Adventures: The Forgotten Ruins" an excellent H/O adventure game BTW) has been "MahJong Quest Expeditions" that I picked up at Gamestop this past weekend. It did have a timer and the tiles patterns were very difficult to distinguish on such a small screen. And thanks for the info, I'll check out Best of Mahjong you mentioned! Definitely getting that Swapnote theme. Definitely getting the Swapnote theme. Great, more garbage from TreeFall Studios. @Ryno I know exactly how you feel. I might finally get Retro City Rampage DX this week. Dang it, I want Puzzle and Dragons so bad but I just CAN'T spend that much on a screw-around-here-and-there puzzle game. Hopefully it goes down or goes on sale sometime. @Ryno PSN has had some good stuff. I just picked up Double Dragon Arcade archives,Tony Hawk HD, and Terraria. My question is: How do the GBA games look on a large TV? I've got a 50" and I can't imagine they would look very good. Am I wrong? @cali_angel Yeah those type of casual Mahjong games (I say 'casual' because I can't think of a better term for them) are generally bad and have random 'story modes' that make no sense for the genre. I've played lots of digital Mahjong games so I am used to seeing little tiles on a small screen, but if you're having trouble, Best of Mahjong has several other tilesets that's easier to see (I think one has numbers). I always use the Chinese characters personally. @Noonch I need to get a GBA SP. @Hordak GBA games look way better on the gamepad. @ThomasBW84 Will you guys be reviewing Funk of Titans? I'm interested in it, but you haven't put up a review yet. Looks like I will finally get Retro City Rampage. Definitely looking forward to that. RIP 3DS Virtual Console. Even if it ain't 100% dead, it's looking like it. @Windy I do so miss the days when I would get on and see cheeky and inappropriate drawings that my friends sent me. @Ryno - "spend my money with Sony"
I thought you were saving all your money for Splatoon. I bought the Mass Effect Trilogy for $4.80 on Monday. I'm only an hour in, and the game could really use a jump button after 50 hours w/ Xenoblade, but it does look good, and the dialog and voice acting is decent, so it seems like I'm in for a cheap go for a long time. @Windy If you think that price is good, I bought it on PSN for $2. Nintendo should learn how to properly do sales from Sony. Nintendo doesn't get my money this week, but that's ok, because I need it for Splatoon anyways. I'll actually take this week to get something in my backlog. Probably either World of Keflings or AVGN Adventures. I've also had my eyes on Cities Skylines on Steam for quite a while. After waiting so long for SS2, looks like I have to wait a while more for a discount. Already preloaded Puzzle and Dragons. Can't wait! Mega Man Zero 2 and, maybe, Swords and Soldiers 2. Got Puzzles & Dragons coming physically. Swapnote theme? worst week ever just because of that. Us download isn't much better than EU. C'mon Nintendo you're better than this! @Tasuki: Crazy, huh? I bet you didn't think I would get back on the Sony bandwagon? @rjejr: I thought you were going to buy Splatoon, The Incomplete Edition for me? @Uberchu: I am rich and I have huge backlog. Oh well, I'm excited to buy/play Swords & Soldiers 2! @whodatninja Zero 2 is a great game. I'd be getting that if I didn't already own the DS collection. I'd rather just own the Mario version of P&DZ. You'd think they could separate the two in the eShop. @JaxonH - How do you go from MH4 to PaDZ? You must be the most well rounded non-pretentious gamer I know. @Ryno - "I am rich and I have huge backlog." Is that you're opening line on the speed dating circuit? I bought Swords and Soldiers 2, I'll try it out this weekend. @KirbySS44 And yours is the first! Once you've truthfully said those first three words, girls don't care what else you have to say. Why did they make a Swapnote theme? I used to use that for talking with friends, so I'm still a bit upset that they chose to shut the whole thing down instead of just removing the photo functions or at the very least, replacing the whole thing with a text messaging application. It doesn't make any sense that they would release a Swapnote theme this long after they shut Swapnote down. What, do they actually think that people used the streetpass feature that let you send a short, handwritten message to somebody who is already on your friends list who is standing close enough to you to just speak with? Doesn't make any sense. The game mechanics in Harvest Moon: A New Beginning are mostly well done. The game is worth your time and money if you are willing to play with the 3D off and know enough about the series to pick up 5 to 10 of every "useless" piece of junk in the game. I mean it, it is really fun after you finish the colossal, month long tutorial at the beginning. There is a lot to do once you slowly unlock it. The graphics aren't great, but they are functional. The forced cutscenes twice a day to show that the shops are closed aren't really that annoying, just mostly annoying. I'm not doing a good job of selling this, am I? why do they have a swapnote theme if that service was killed off two years ago? A total of 2 new games for the 3DS. A new low. But it's always this way before E3, no? I'll get Swords and Soldiers II, as I love that kind of gameplay. Battleminer now has online and improvements if anyone was interested, seems worthwhile to look at it while the price is down. I wonder if Konami Krazy Racers (GBA) will ever come to the Virtual Console? @Superryanworld gameboy micro is one if the coolest systems of all time! @Windy: Oh look, yet ANOTHER week w/o any 3DS VC! When will Nintendo wake up and smell the coffee??? Weren't we supposed to get a Mighty Switch Force HOME Menu theme about 3 weeks ago? What happened? Wow, the irony of all the negative attention the pricing of S&S II has been getting and then seeing it released alongside a handful of cheap (in quality as well as price, by the looks of them) eShop releases. That is not a criticism of Ronimo Games by any means, merely an observation in line with the larger issues surrounding the eShop. Looking at what the other games offer, I have no doubt S&S II is by far the best product out of the bunch. I'll be looking into downloading it (or maybe trying out the first one at the very least and seeing if I want more) and I hope it does well for the team behind it. Swapnote theme seems salt in the wound of anyone who spent a lot of time with it, just to have it neutered by Ninty. @Windy the "taking a picture and sending it to someone on a friends list" was so badly abused. People share IDs with strangers in an online facebook page, and then would receive an R rated picture that they didn't want, and there were kids getting them. It's either Nintendo sacrifice swapnote or cross their fingers and hope nothing worse happens and hope that no tabloid gutter press gets ahold of it and makes basically every parent refuse to buy one. @MadAdam81 I don't buy the over abuse for 1 second. I had 25 people on my friends list most of which were people over 30 years old. Not one message was abuse in the time we used it. I think Nintendo was starting up MiiVerse and didn't want to have to pay for 2 Servers so they were just being cheap in my opinion and Used abuse to get out of swapnote. Besides swapnote was a friendslist chat program. @KnightRider666 I think the ship has sailed on the VC bud. Of course it could be fixed and quickly but its obvious VC is not a priority for Ninty right now. What a shame. I'm really into the 3d classics and that ship will sail when Sega stops making 3d classics. @FeedingTheWheel I agree. One thing I don't get. If a game isn't selling in Eshop like say WRC Rally racing 34.99 (3.99 on PSN market and Android market) you would think pricing it right would sell copies. I bought the Android version and it actually a decent rally racer. Just sacked price. They will not sell 100 copies of WRC racing at that price I guarantee it. Lower the price idiots. @SethNintendo Virtual console doesn't seem like much of a priority now as it was with the wii. @Windy: I hear you, bro. I've bought them all, but OutRun is still king;) I've been enjoying Excitebike 3D lately though to be honest. Love the fact that it saves your best lap times for each track! @Windy People added strangers from Facebook groups. Children had received material. It happened, Nintendo removed the feature. Ugh. Gross. And going for bottom dollar again. Haha. I had blissfully forgotten about them since that awful presentation they had a while ago. Seeing their name again has reminded me of that terrible, terrible experience. Much better Nintendo! Finally!! Now keep it going! Especially 2 vc games a week!! Again, if you are remotely interested in Mega Man Zero, why do you not own the Mega Man Zero Collection?